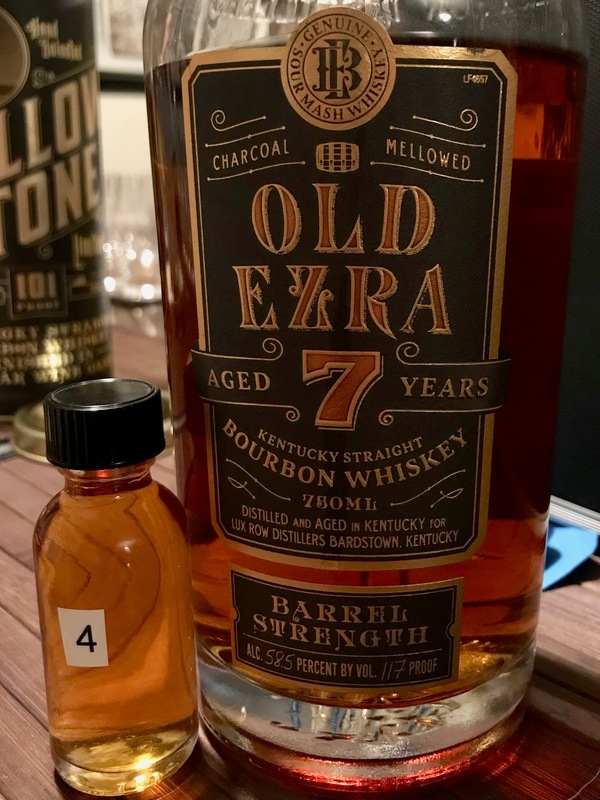 Old Ezra 7yo (58.5%): Let me jump into Old Ezra 7 years old bandwagon before it gets too late... As you are probably well aware this bourbon got a lot of attention in last weeks. The brand is from Luxco's portfolio and the whiskey is sourced from an undisclosed distillery but because of the company's history of sourcing whiskeys from Heaven Hill in the past when labeling their bottles as Kentucky Bourbon it is not that hard to make an educated guess. Color: Dark amber, orange blossom honey with thin and fast legs. Palate: Cornbread, toasted wood and Muscovado sugar. Sweet and tart barbecue sauce, aunt Jemima syrup, heavily spiced carrot cake and vanilla frosting. Honey roasted almonds and peanuts. Finish: Long with cinnamon, cloves and warm cake batter. A little tart with warm apple pie and cinnamon syrup. Overall: Everyone was right... This is a very good whiskey considering the price tag attached to it. And it is barrel strength... What else do you want? Get one while you still can because with all the reviews popping up left and right and the awards it is getting it will be either harder to find pretty soon or they will adjust the price to match the hype. Thanks to The Whiskey Jug for the sample..!